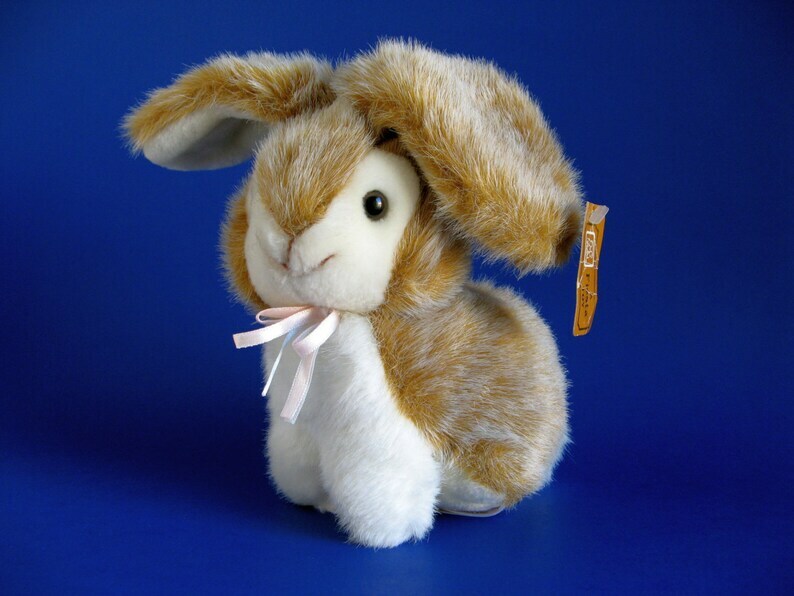 Really cute small vintage Bunny Rabbit stuffed animal by Fiesta. This little cutie has such a sweet face! Soft brown and cream faux fur. He is wearing a pink & blue satin ribbon. He was made in 1989 and still looks wonderful. He is in excellent, gently played with condition.